Lisa Nielsen: The Innovative Educator: From BadAss to Batty. Activist teachers lose progressive focus. From BadAss to Batty. Activist teachers lose progressive focus. You may have heard of the Badass Teachers group. Back in June they started a recruiting campaign and used questionable practices to put 25,000 members in their group very quickly. The group had promising beginnings. It was started by Mark Naison a progressive college professor and a homeschooling mom who connected in a group that explores alternatives to traditional public school education. It was formed for reasons that resonated with many teachers, students, and parents. "This is for every teacher who refuses to be blamed for the failure of our society to erase poverty and inequality, and refuses to accept assessments, tests and evaluations imposed by those who have contempt for real teaching and learning"
And, they seemed open to supporting all those who had the best interests of children at heart. They supported home educators too. Badass Teachers Association supports the choice that homeschool parents make, and commends those who are savvy enough to realize that our fight is their fight. However, not long after their badass beginnings, things started getting a little batty and their rapid growth, quickly plateaued. It’s no surprise their numbers remain stagnant nearly three months later as a result of the baiting and switching of the group’s initial focus to one with some extremely batty ideas. Members eyebrows first started to go up when the group instituted a policy banning students. That’s right. The group bans the very audience they purport to be fighting for. The BATs initially created a forum so that those who didn’t have Facebook accounts, or wanted to contribute anonymously, had a place to go. What ultimately happened is it became a tool to silence people. Once conversation ventured toward critical thought or out-of-the-box thinking, members were told to “move it to the forum.” This often was not the result of any inappropriate, unprofessional, or banned conversation items. In fact, folks were often shooed off to the forum because there was a blatant distrust of what members “might” do. In other words members were treated as guilty without even having the chance to be proven innocent. The "forum" btw only has a few hundred members with virtually no one posting more than one time to a silent room with no responses. Once there it is clear you have been in essence "sent to detention." As the BAT group started, there were some thought-provoking conversations about solutions and new ideas. That was short lived. The group had a new direction. This was that there were daily actions. Conversations about issues important to group members were interrupted by moderators who reprimanded members like bad children off task and redirected to the action they choose for them in a blatant attempt to undermine topics of importance to members and derail conversations. The group started with sensible censorship guidelines that contained the usual fare i.e. insults to religious or political party affiliations, homophobic or racist comments, bullying, demeaning remarks excessive or inappropriate use of vulgarity. It moved to a LONG and ever-growing list of items that can be censored. Having a long list of what not to do is certainly in the jurisdiction of any reputable group. What turned the group from Badass to Batty was when they censored threads that did not violate guidelines in which members had open-minded discourse. The message being this is clearly not a place for thought leaders...only sheeple that compliantly obey. When I support educators in setting up a social media presence an important lesson when it comes to censorship and banning is this: It is unethical to do so indiscriminately. Furthermore, as educators doing so could set yourself up for accusations of bias and discrimination. The group now has a history of banning and censoring members who have not violated group guidelines. It is ironic that a group founded by a professor who was an activist against bias and discrimination, now leads a group that is doing just that. Simply banning people without stated justification, notification, or conversation. 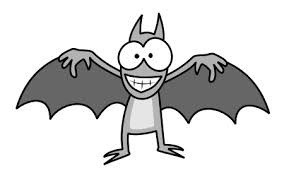 Batty idea #6: Tackless attacks The BATs attack those who bring up alternate viewpoints, yet believe they are above providing evidence to back their claims that someone should be censored or banned. Often those being silenced are those revealing truths and transparency the BAT admins don't want you to know. They justify this by explaining that their "weeks" of experience moderating should be proof enough that, like some deity, they should be trusted without question. Innovative educators know that teachers are better than this. Great teachers don’t indiscriminately censor and ban nor do they stand for it when their colleagues are subject to such treatment. They don’t follow along blindly as yes men or believe in silencing the sharing of ideas. They don’t allow themselves to be used as a pawn for someone’s else’s less-than-transparent, moving-target mission and motives. And, perhaps this question from an innovative educator sums it up best: “Aren't the BATs administrators behaving like the pigs in Animal Farm?” I’ll leave that to you to decide.